Discover how a project with CMC is built and works to improve your factory. By default we assume that you care about cost, quality, delivery, safety, and morale. Then, following your explanation of your business, its challenges, your goals, and where you feel your key problems lie, our manufacturing consultants explore your current situation. We'll subsequently report on major gaps in your organization which are preventing you from reaching your goals, then devise a plan to solve them. We both want us to do the best possible job. Over the years we have learned from past mistakes and developed a process to avoid them. We always follow our tried-and-tested 11-step engagement process for everything but the most straightforward project. 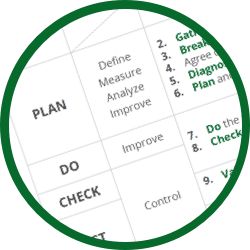 This framework allows you to understand where we are in a project, and provides important milestones for success. We don’t just look at the "hardware", but also the "software" of your company. 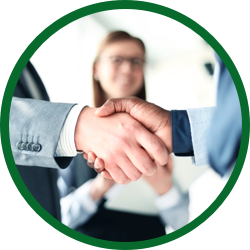 We get your team's agreement on our analysis and their input into our plan because this makes implementation so much easier. We also pay attention to any sources of resistance such as fear, or lack of awareness, and seek to allay these as we go along. Building a good relationship with your team is always going to lead to better results than if they feel we're working against them, or threatening their jobs in some way. It takes time to diagnose the main issues, their causes, etc. It also takes time to develop a good plan associated with realistic targets. We won't rush into giving you a price for an improvement project until we have gone through steps 1 to 6 of our engagement process. 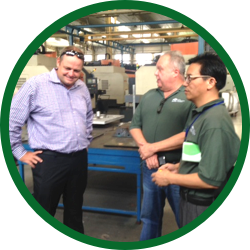 Our focus is on fully understanding your unique challenges and needs before we start any improvement activities, because one size does not fit all when undertaking a factory improvement engagement. Who needs to work with CMC? 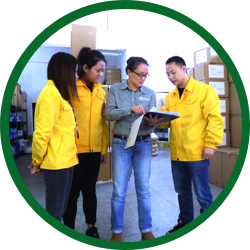 If your, or your supplier's, factory is exhibiting negative issues in any of the above, then working with CMC to solve them will beneficial. A typical factory improvement project lasts anywhere from 6 to 18 months. We may also be able to help if you only need technical guidance in the form of a short-term training assignment (but this is not our main model). Once we have completed a project, you will have already realized the full value of our work. 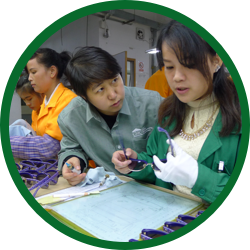 We generally don’t keep anything "in our hands", since our manufacturing consultants train people to use new / updated processes and systems during the engagement. Therefore, billing and payment occur throughout a project, not at the end. Note that we often tie some payments to measurable KPIs and results, though. Have any questions about working with CMC? Contact us here, we'd be glad to discuss your unique issues and needs.